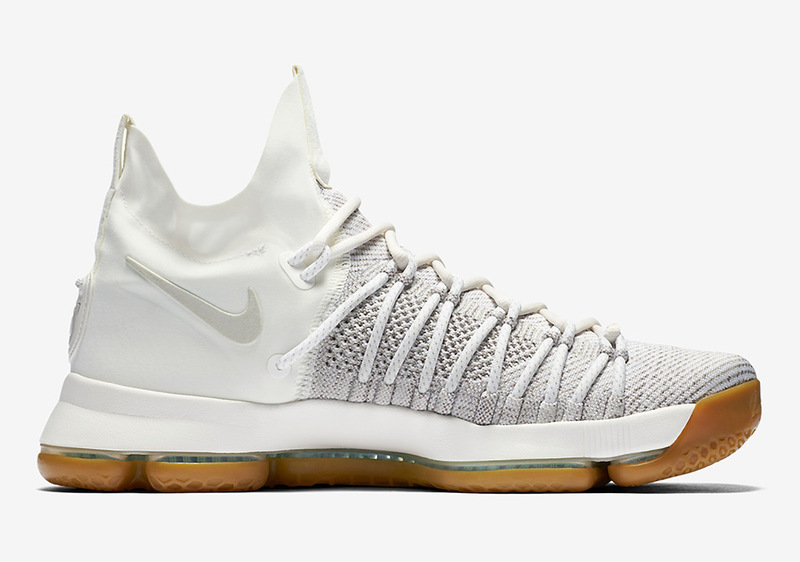 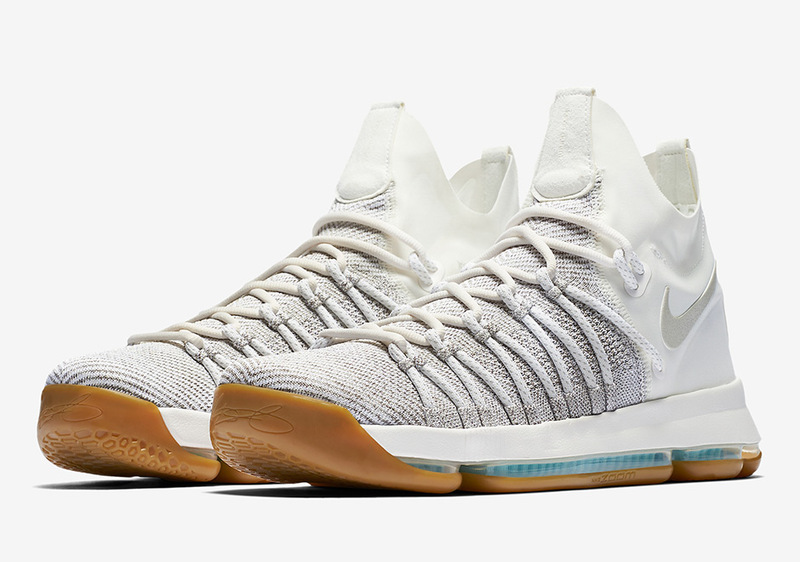 The Nike KD 9 Elite may be built for battle on the court, but this upcoming colorway is as soft as a lamb with its Pale Grey and Ivory combination of Flyknit, Flywire, and the stretchy ankle wrap. 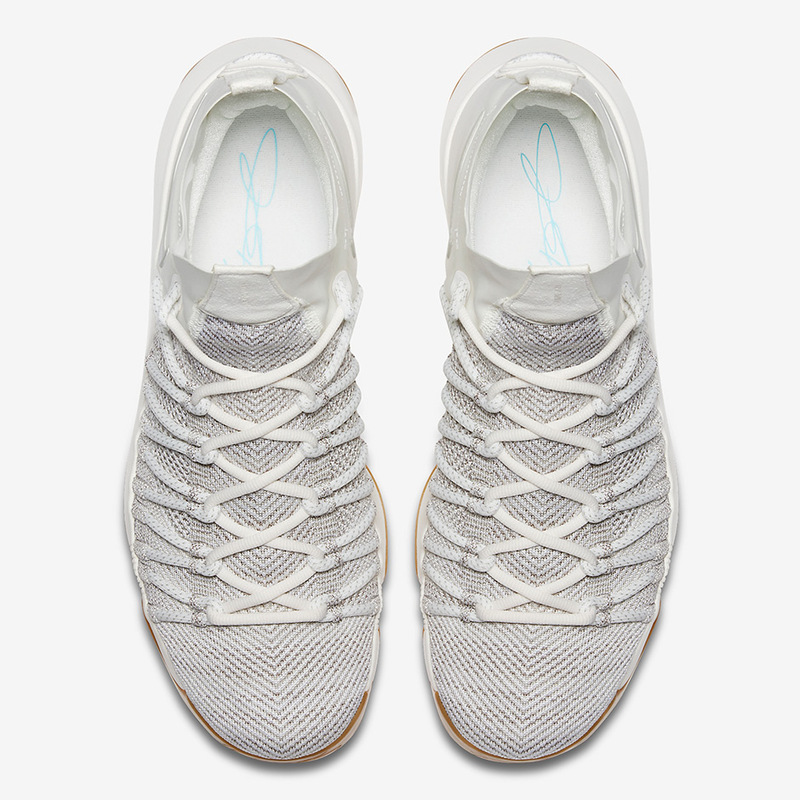 The serious sneaker gets the pristine look up top, complemented with a gum rubber outsole and the addition of some color with the light blue Zoom Air fibers that are visible in the midsole. 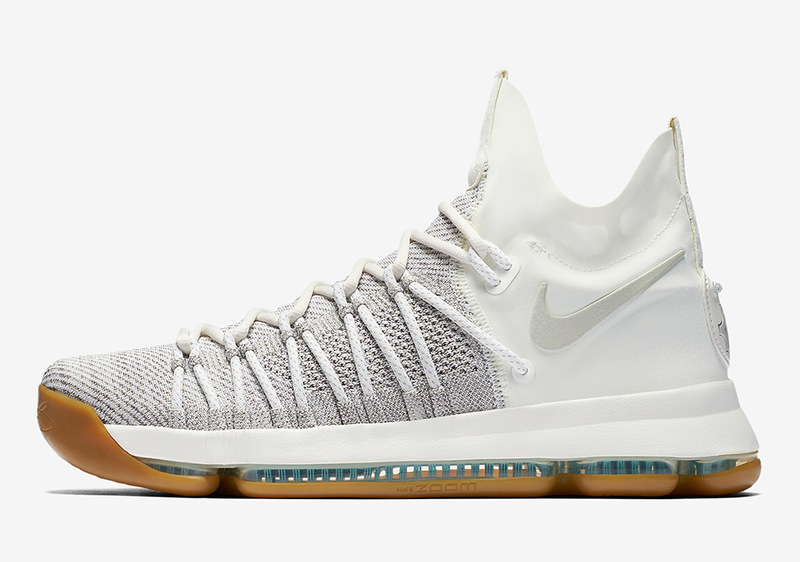 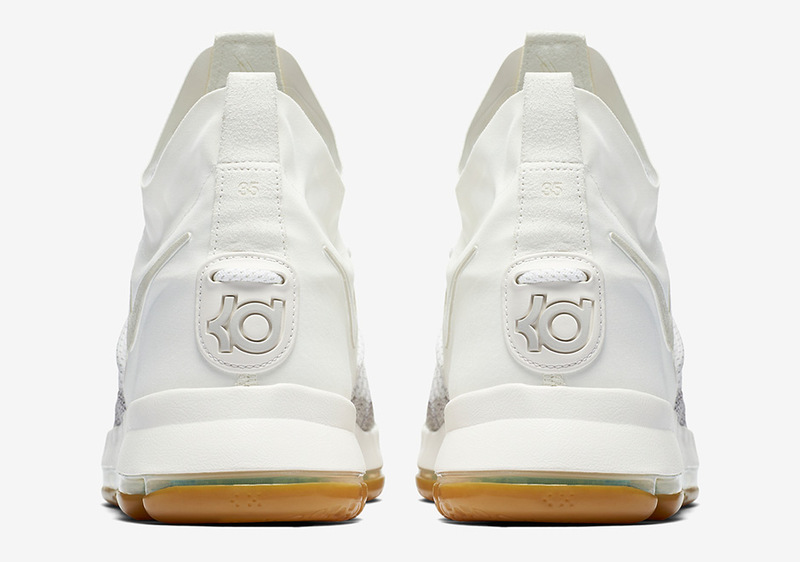 Get an official look at the “Ivory” KD 9 Elite here today, and mark that April 6th release date on your calendars if you’re trying to pick up a pair. 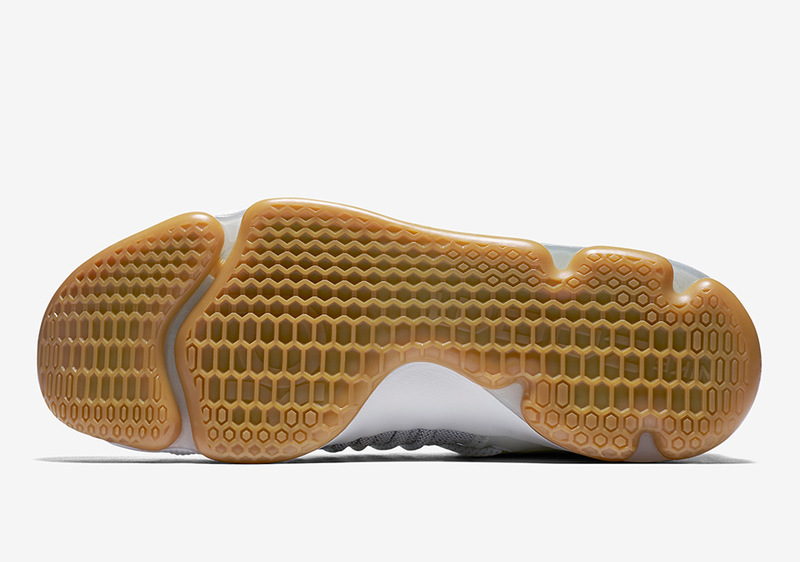 They’ll be available at select Nike Basketball retailers and Nike.com.